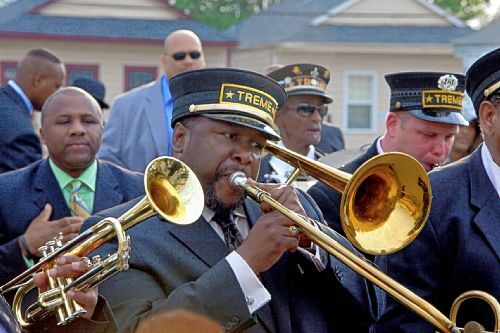 Treme, the new HBO series, takes a look at New Orleans shortly after Hurricane Katrina. The name of the series comes from the neighborhood of the same name which has been home to many musicians that helped make New Orleans so famous. Treme comes from David Simon and Eric Overmyer, who both worked on Homicide: Life on the Streets (one of my favorite shows ever) and The Wire. Both of those shows were critically acclaimed in their time and known for their diverse casts and strong writing. In the first five episodes, I’d say Treme fits right in.